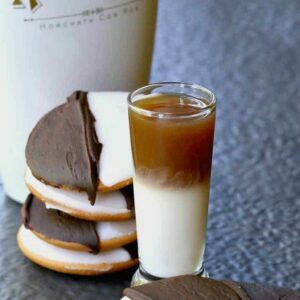 Try these Black and White Cookie Shots for your holiday parties! 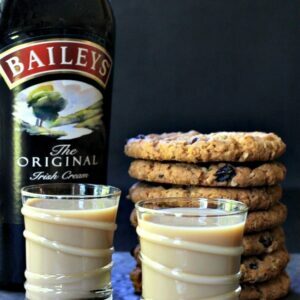 Serve as a dessert shot, happy hour drinks or a night cap! You guys all know by now how much I love fun shot recipes! Our famous Duck Fart Shot is one I make ALL the time…in the summer these Tropical Tequila Shots are super refreshing, and Candy Cane Layered Shots are always a hit around the holidays! Our youngest is 9 so we still do the whole Santa thing. It makes Christmas fun – hiding the gifts, taking trips to see Santa and get pictures and also, right before bed on Christmas Eve we leave out a plate of cookies and a glass of milk. I still get a kick out of seeing him come down the next morning and make sure that the whole plate of cookies has been eaten…and the milk is gone. After my wife and I get all the presents out on Christmas Eve and the milk and cookies out for Santa, we sit in front of the tree and have ourselves a little cheer. 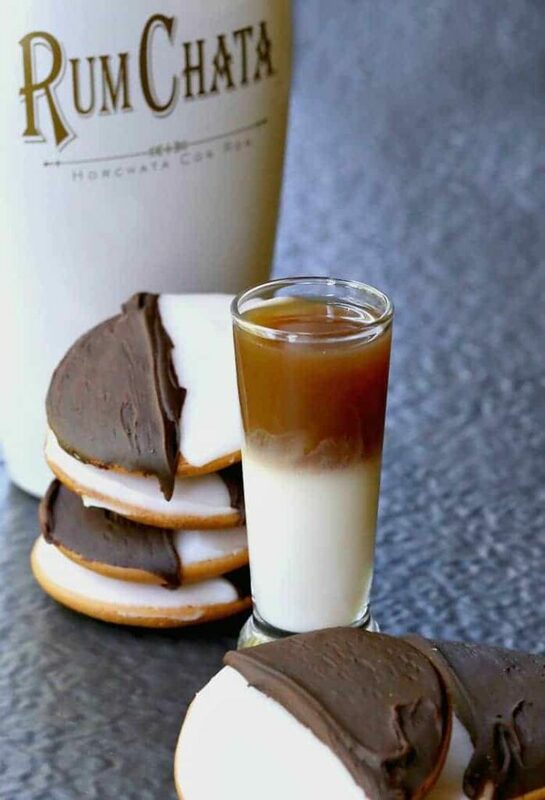 Usually it’s champagne but this year it’s definitely going to be these Black and White Cookie Shots. 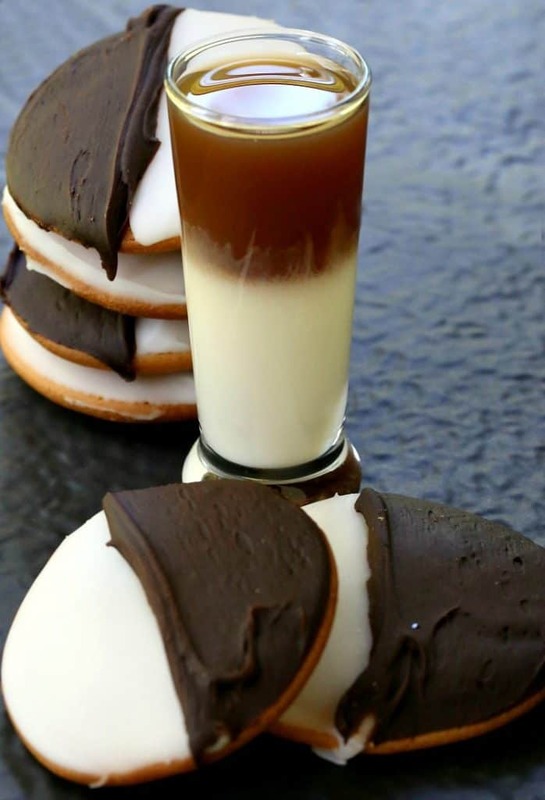 Black and white cookies usually pop up in the stores this time of year too so I grab them whenever I see them. Now not only just to snack on but to serve alongside these amazing shots. This layered shot recipe is mostly for effect but it also does make a difference in the taste. First you get the chocolate flavors form the chocolate vodka and liquor, then you taste that creamy, delicious RumChata to finish it off. Not only do they taste good but these Black and White Cookie Shots are going to be showstoppers at your holiday parties, too. Everyone always loves the presentation…it even makes the unwilling participants grab one just for kicks. Just like these Layered Candy Cane Shots I made, they always stop people in their tracks! And after they knock it back they head in for another one. RumChata is one of those liquors that we always keep on hand. It’s perfect for drinks of all seasons. 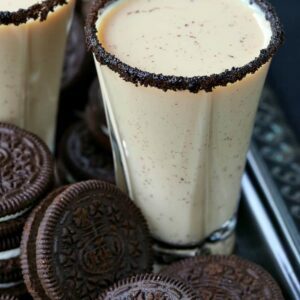 We’ve made these Frozen RumChata Strawberry Lemonade for the Spring, this RumChata Cherry Pie Martini for Summer, These crazy cool RumChata Candy Corn Jello Shots for Fall and now these Black and White Cookie Shots for Winter. So grab a few bottles of RumChata and make some drinks any time of year! 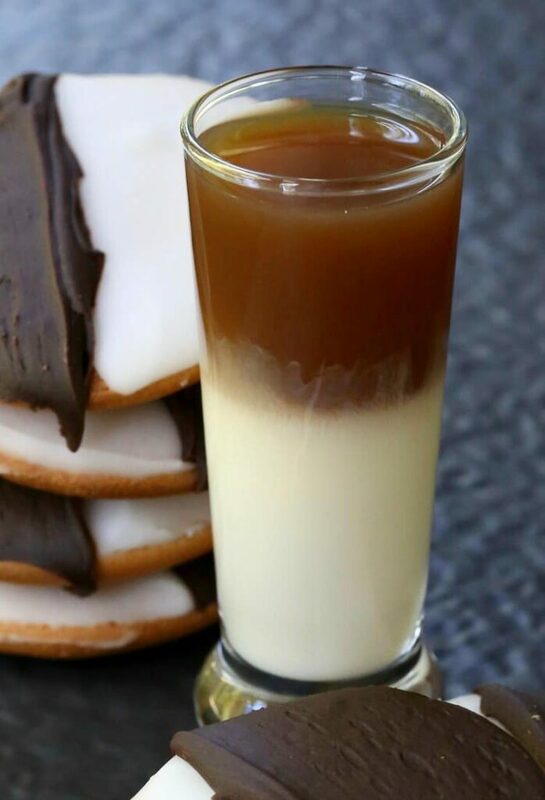 These layered dessert shots can be made ahead of time for a any party! Pour the RumChata into a tall shot glass. Layer the vodka into the glass pouring slowly over the back of a spoon. Repeat the same process for adding the chocolate liquor and serve. 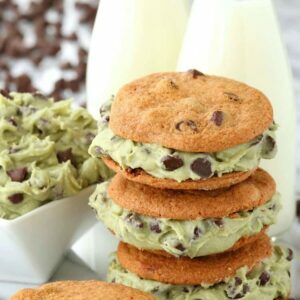 This is a sponsored post brought to you by RumChata, all recipes and opinions here are mine.